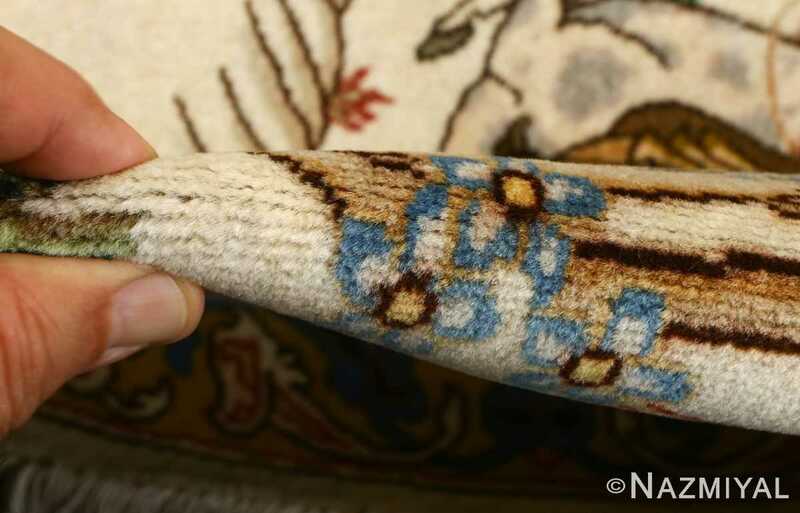 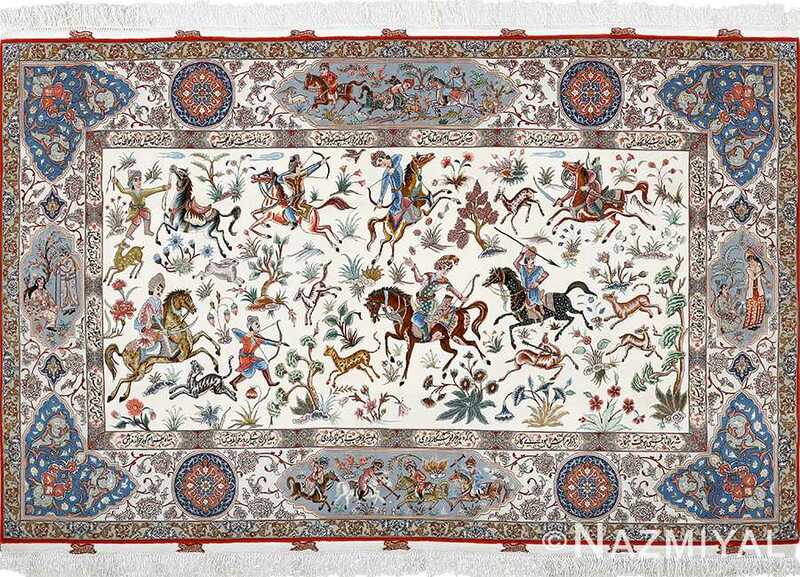 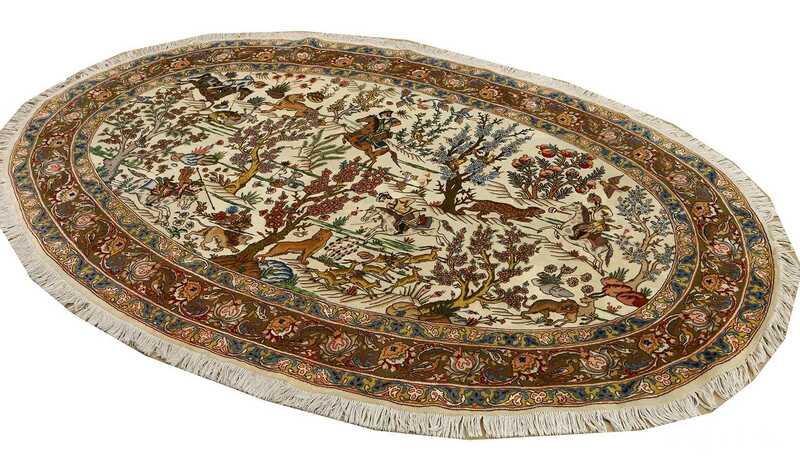 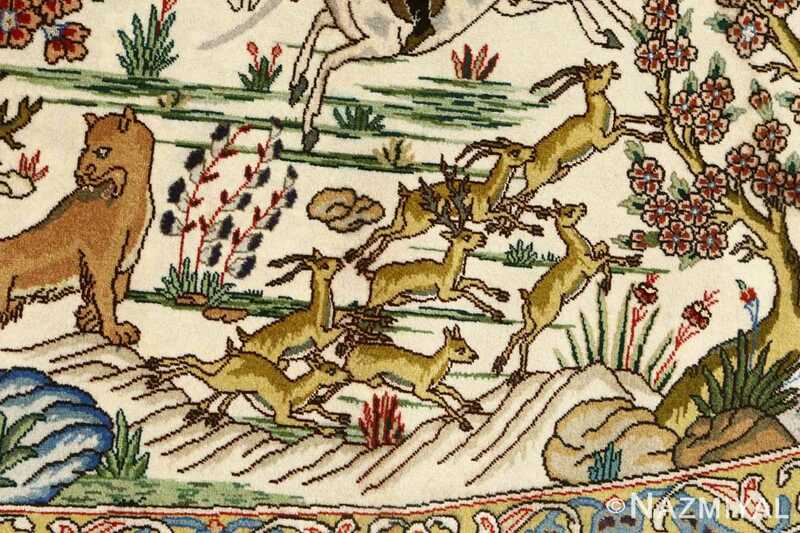 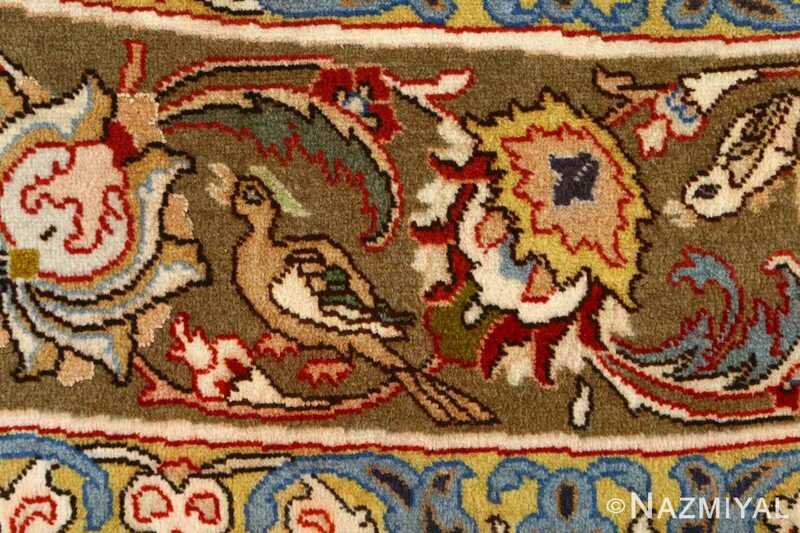 Magnificent Oval Hunting Scene Vintage Tabriz Persian Rug 51131, Knots Per Square Inch KPSI: 450, Country of Origin / Rug Type: Vintage Persian Rug, Circa Date: Late 20th Century – This vintage Persian Tabriz rug features a lively hunting rug scene, its ivory body set with springing pursuers and prey. 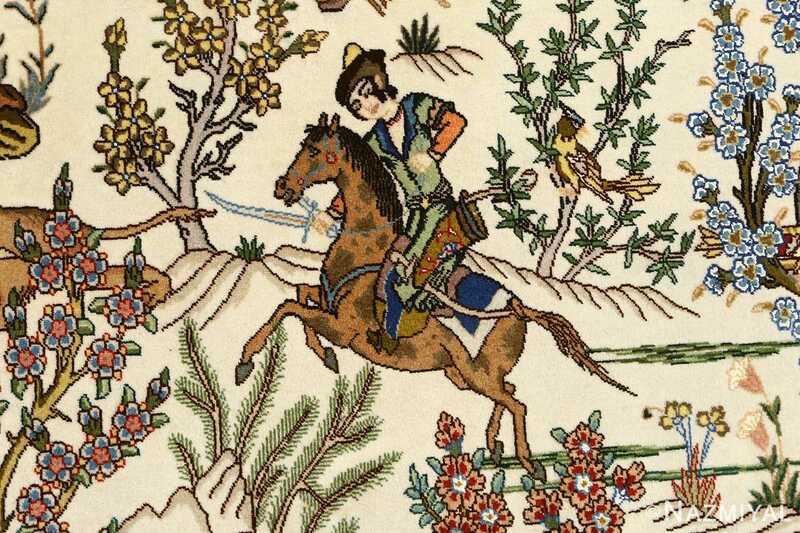 Colorful, flowering trees establish a forest setting, each distinct due to variations in color and style, guiding the eye with twisting vertical motifs anchored against shaded mounds of earth. 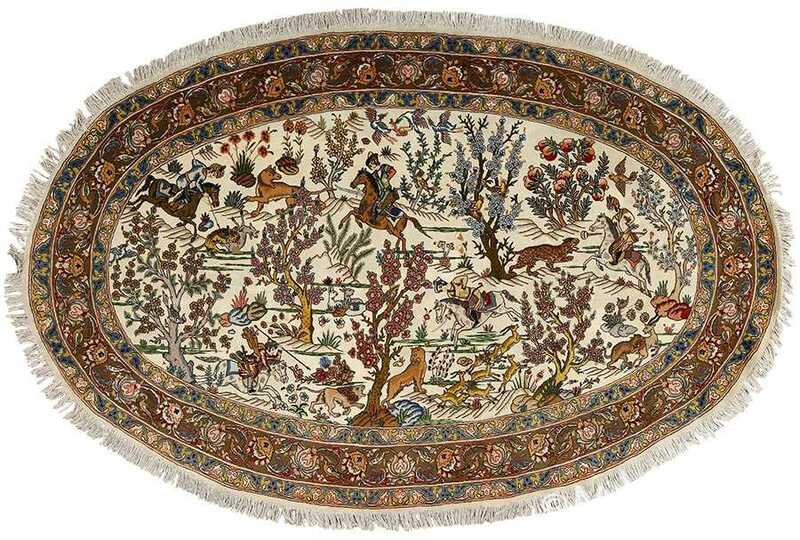 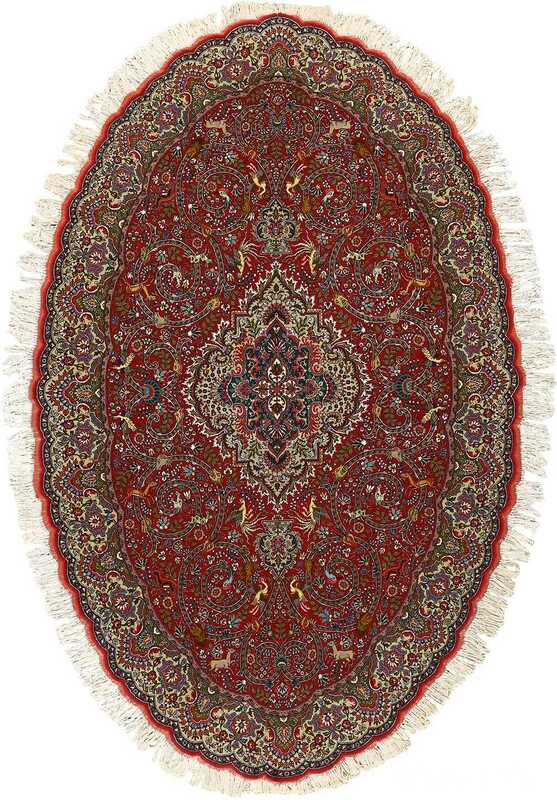 This beautiful oval round rug features wild predators such as lions and leopards crouch alongside leaping antelope, which contrast the mounted hunters carrying sword and spear. Vivid birds drift overhead, nearly camouflaged against the bright flowers that nestle through the woods. 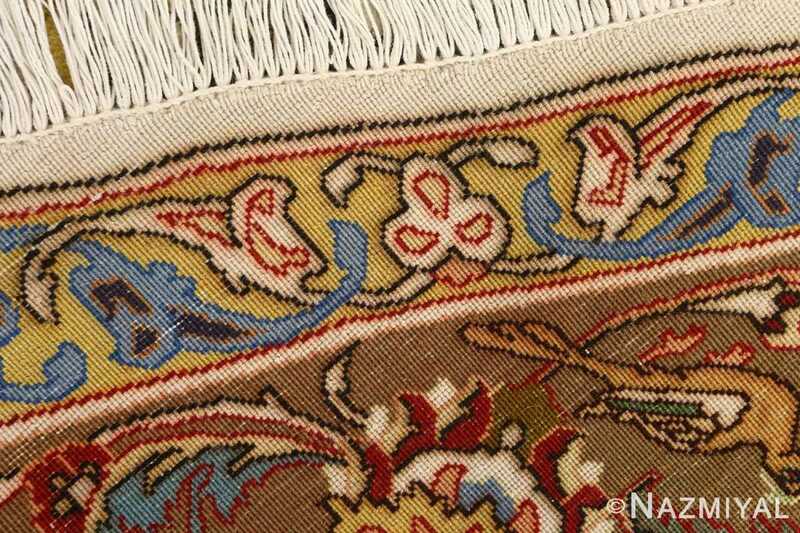 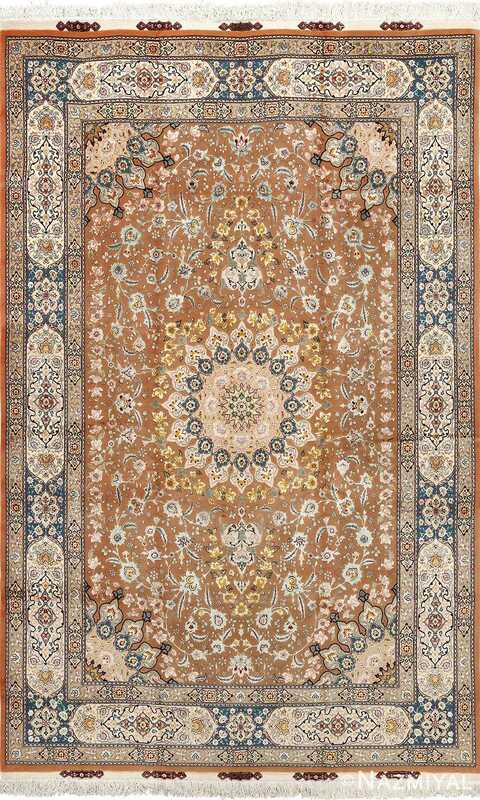 A trio of floral-patterned borders, two narrow matching bands flanking a central strip of brick red, completes the vintage Persian rug.